Geelong is gathering together the final pieces in preparation for hosting its first beer festival. The organisers are hoping that their new Great Australian Beer Festival (GABF) will be Australia’s best beer festival, showcasing the nation’s craft beer with a strong focus on the local brewers of Victoria’s south-west. The GABF team have certainly had no shortage of new beer festivals to learn from over the past year, so expectations are high as event organisers learn the pros and cons of staging friendly and safe festivals of beer. Festival organisers, Kieran Blood and Michael Ward, have created GABF Geelong to help raise the profile of local beer amongst a regional population that is mostly yet to embrace craft beer. “Our immediate goal is to increase awareness in Geelong and to give the consumer the opportunity to taste, then make an informed decision to buy locally and Australian made craft beers,” Kieran told Australian Brews News. Australia’s first lady of beer, the Beer Diva (Kirrily Waldhorn) will back up her MC duties at the upcoming Ballarat Beer Festival to also host Geelong’s inaugural festival. 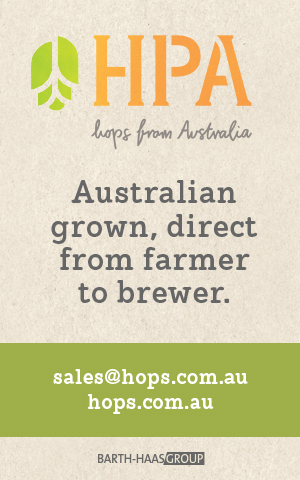 Featured breweries will include Prickly Moses, Bellarine Brewing Co, Forrest Brewing Co, Little Creatures, Southern Bay Brewing Co, True South, Cavalier Brewing, Mornington Peninsula Brewery, Stone & Wood, Mildura Brewery, Hawthorn Brewing Co, Mountain Goat, Murray’s Craft Brewing Co, Holgate Brewhouse, Matilda Bay, Moo Brew, Grand Ridge Brewery, Red Duck, Two Birds Brewing and Kooinda. This week, GABF have announced more details of the event’s program, including some the seminars and food options that will be available to those attending. Beer Diva – Beer and Cheese Tasting – During this experience, the Beer Diva will showcase a selection of stunning international and local farmhouse cheeses to a variety of handcrafted, artisan boutique beers. Beer Diva – Beer and Ice Cream – The Beer Diva and Timboon Ice Cream producers will present their creations of mouth-watering ice creams incorporating beer! WRG Wallington – Homebrewing, Getting Started – WRG Wallington are great local suppliers of homebrew kits and ingredients. They will take the novice to homebrewing through the basic steps and equipment required to start brewing your own delicious brew at home. Heath Shirtcliffe – Cavalier Courage – Heath will take you through a tasting of Cavalier Courage, the collaboration brew between Dr Ian Davis and Cavalier Brewing designed to raise awareness and funds for research into Motor Neuron Disease (MND). Meet the Local Brewer with Luke Scott (Prickly Moses), Steve Henderson (Southern Bay), Matt Bradshaw (Forrest Brewing), Tim Page-Walker (Bellarine Brewing Company), Nyall Condon (Flying Brick Cider Co) – Geelong’s local brewers will take you through a selected product of theirs, followed by an opportunity to ask these experts of their trade some pressing questions. Odyssey Tavern and Brewery – A selection of ribs, meats and smoked pork all with a local beer marinade and side salad. SquidInc – Calamari, Chips and a special recipe of beer battered fish using a local brewers beer. Bellarine Estate Gourmet Wood Fired Pizza – A variety of toppings on a, yes you guessed it, a base made with Bellarine Brewing Co beer. Hop Skip Jump – High quality Australian produce with Beef and Roo Burgers, Roo and Lamb Snags with option of local beer infused caramelised onions. Timboon Ice Cream – Tasty and delicious, Timboon ice cream will tantalise the taste buds on a warm summers day. McHarry’s Buslines will be running free buses every 15 minutes from Geelong and South Geelong train stations throughout the day. Those coming on a train from Melbourne to Warrnambool can jump on a train at their local station and be at the festival with just one change onto our free buses…and same on the way home. All music acts are now confirmed, with Bob Evans headlining, supported by The Vaudeville Smash, The Firetree, Ashleigh Mannix and Adam Hynes providing the live soundtrack for the day. GABF wishes to assure patrons the festival will be a relaxed and friendly environment with families catered for including rides for the kids. 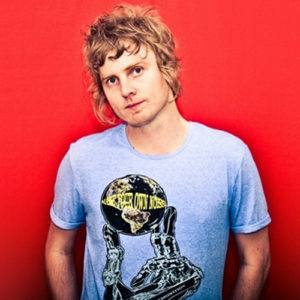 The festival organisers believe in responsible drinking and do not promote mass consumption. 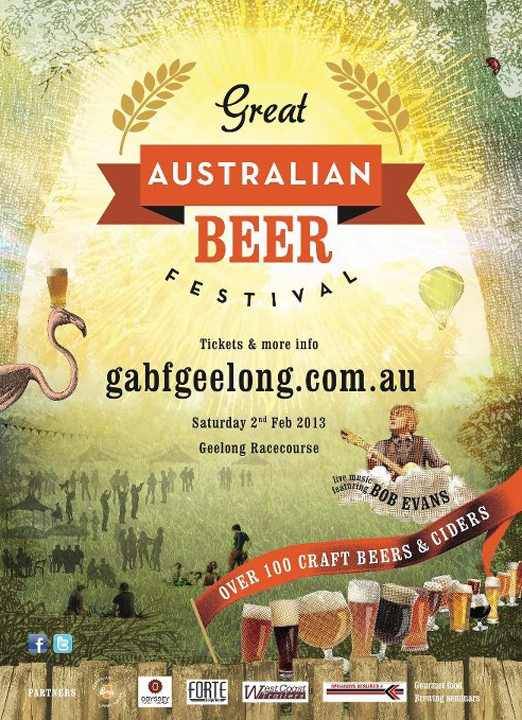 For more information, and to purchase tickets, visit the Great Australian Beer Festival Geelong website.